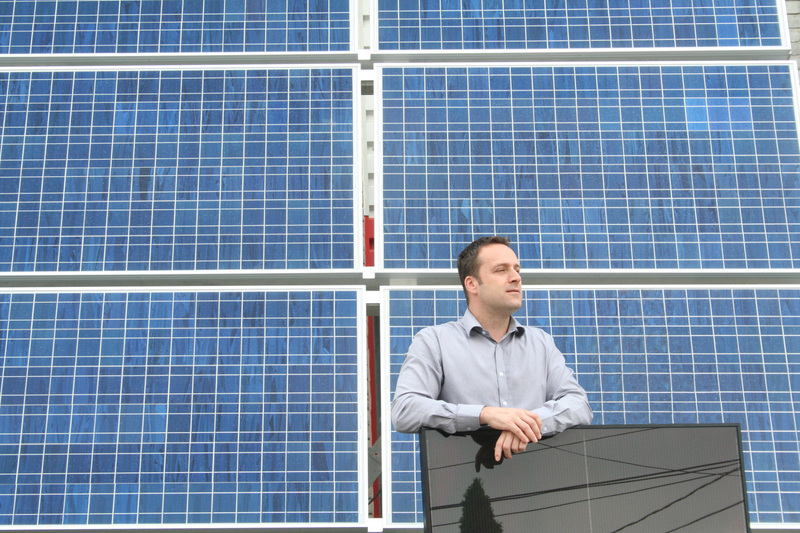 Volts Energies cut cost while saving the planet! At Quote Roller, while we have a lot of creatives in our midst, we have all sorts of clients, including a growing manufacturing base. We got the inside scoop on the energy design and manufacturer Volts Energies, who help companies save money while saving hundreds of thousands of gallons of fossil fuels. We can get down with that! Très bon! Sebastien Caron: I am owner and president of Volts Energies, an energy system designer and manufacturing company in Quebec, Canada. We are a team of professionals passionate of reliable, efficient and environment friendly energy solutions. Since 2003, when Volts Energies was created, we conceived and installed hundreds of systems in North and South America and helped to save hundreds of thousands of gallons of fossil fuel to our clients. Our particular force is hybrid and cogeneration systems that use both traditional and renewable energy sources. Such solutions are very efficient in remote locations that do not have direct access to the grid, for example outfitters, mining sites, telecommunications and some country cottages. Sebastien: I have been always fond of clean energy. I started my business by representing large generator manufacturing companies, and, later, launched my proper R&D to introduce renewable energy into traditional power systems. Such technologies were not known well at that time, and Volts Energies became one of pioneers that saw the market potential of such solutions. Today, ten years later, we have greatly developed our expertise through partnerships with schools, research agencies and hi-end equipment suppliers. Sebastien: Entrepreneurship means being innovative, proactive and persistent. This is my character, and I am happy to let my dreams come true with Volts energies. Sebastien: Success for me is to see that our solutions help really resolving issues for our clients. We have got a lot of testimonials where people were thanking Volts Energies for providing reliable systems that save up to 80% cost and dramatically decrease emissions. Sebastien: We were looking for simple and efficient quoting solutions for small and medium businesses. We made a research and decided to try Quote Roller. It was a good try! Sebastien: Quote Roller is a very efficient business solution. With its help, we can serve our clients much more quickly. We can get a quote to our clients in less than 10 minutes! Sebastien: Quote Roller is a time-saving solution, and I can confirm it. Sebastien: Our sales department receives dozens of quote requests per day, and all of them are replied very quickly. It is an important factor, which helps us increase revenues. This year, we got a record sales value, and Quote Roller helped a lot.